So you want to know how to save money on a cruise? We scoured the web and found our best advice. Do you also need to save money on airfare? Check out our key advice. Want to rent a car and drive? Then you must check out our recommendations. Never. We repeat: never. Cruise lines all issue gorgeous, glossy brochures with “sample” pricing, but unless it’s a very special (and very well-sold) trip where demand is higher than supply — and that’s incredibly rare — consider those prices to be about as accurate as those per-day hotel rates posted on the back of your room’s door. In the same vein, don’t be swayed by claims of “65 percent of the brochure rate.” It’s not a discount unless the price presented to you meets your definition of cheap. Pricing a cruise is a lot like pricing an airline ticket; the fares go up and down constantly. Travelers who are willing to travel at the drop of a hat and have the flexibility to wait until the last minute (in cruise parlance, anywhere between three and six weeks before departure) could find the best rock-bottom fares. Be prepared, though, for the least desirable accommodations — typically cabins without balconies or even windows, and staterooms in unpopular locations. Also, if you can be flexible with dates — sailing during the shoulder season rather than popular summer and holiday weeks — you can typically shave a few hundred dollars off your base rate. These days, cruise lines are wooing “advance planners,” those who book a cruise and pay a deposit six to 18 months in advance, by offering excellent fares and throwing in otherwise-expensive upgrades and value adds. Look for free or reduced airfare, complimentary amenities (think free specialty dining, beverage packages, shore excursions and/or gratuities) and cabin upgrades. Tip: If you want a free upgrade, look for an ad that specifically says “balcony staterooms for the price of outside cabins” or similar. You are less likely to want “upgrades within like categories” — meaning the line will bump you from your outside cabin to what it deems is a “better” outside cabin. You might not agree. The cruise industry is rife with sales. Some lines offer short-term promos nearly every week; lines like Celebrity and Royal Caribbean have one-day discounts each week. Wave Season (January through March) often sees an outpouring of sales from cruise lines and travel agencies alike. The Internet and email newsletters are some of the best mediums for finding deals, ranging from last minute to two years out. Need help snagging a deal? Check out Cruise Critic’s deals section for the best bargains hand-picked by our editors, or sign up for our weekly deals e-letter. And talk to travel agents; they might have secret deals they can only tell you in person. Do-it-yourself travelers can use the Web to great advantage when shopping around for the best cruise fit and the best cruise fares. Use Cruise Critic’s online cruise-finder tool to determine which cruise lines and itineraries might be best for you. Then use our Fare Compare widget to look for the lowest prices. If you do your research, you’ll get a feel for what average fares on your preferred sailing look like, so when a sale or price drop comes out, you’ll know it’s a great deal and can act fast to snag it. Cruise lines have embraced homeport cruising, with ships departing from cities all along the U.S. coastline. You can cruise from New York, Boston, Baltimore, Seattle, San Francisco, New Orleans and Galveston, among others, on a seasonal or year-round basis. This affects itineraries that sail in regions like the Caribbean and the Bahamas, Bermuda, the Mexican Riviera, Canada and New England and Alaska. The primary benefit? No need to tack on the cost of an airline ticket to more traditional send-off port cities, like Miami, Fort Lauderdale and San Juan. Do plan, however, to pay to park your car in port garages, or take advantage of hotel stay-and-cruise offers. Persuade a group of friends to cruise together, and you can go free. Many cruise lines reward “group planners” who organize a trip of at least 16 people (two to a cabin) with a free cruise — and it’s not necessary to be a pro. Those who coordinate a minimum of 32 people (in 16 cabins) could nab a free cabin for two. 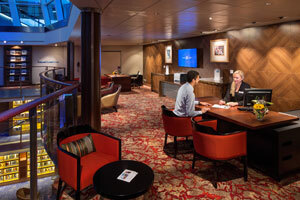 Admittedly, group leaders earn that free cruise by putting in a lot of planning time; requirements include working with a travel agent or spending a lot of time online to determine the best trip for the group (cheapest group fares tend to be offered in May, June, September, October and early November) and choosing a ship and an itinerary that pleases everyone. The group leader also must organize friends and family members to make sure all deposits and final payments are made on time. Our Planning a Group Cruise feature offers first-hand advice on organizing a successful trip for your pals and loved ones. Want to spend a few extra days in the port on either end of your trip? Cruise lines happily package hotel stays (usually with transfers to or from the ship) with their sailings, but you might pay a lot extra for the convenience. Consider booking your own hotels (you can always book a cruise line’s airport-to-ship transfers on an a la carte basis) and planning your own activities to save cash. If you want an organized tour, check out independent operators — many offer pre-/post-cruise options — and compare fares against cruise line packages. If you’re a high-end premium-line cruiser — booking upper-tier suites on lines like Celebrity or Holland America and paying for extras like wine and specialty dining — it might actually be cheaper, or at least better value, to upgrade to a luxury line. Not every premium cruiser wants the luxury experience, but if you’re tempted, it’s worth looking at what size cabin you get for what price on each line and factoring in any extra costs that add to your vacation budget. Luxury lines have been known to include everything from shore excursions, gratuities and pre-cruise hotels to beverages, specialty dining and Internet access — along with fine cabin amenities and high-end service. If you book your next cruise while onboard your current one, you can take advantage of reduced deposits, fare discounts and/or free onboard credit. Deposits are typically refundable, and you can choose or change itineraries in the future and even transfer your booking to your favorite travel agent to take advantage of their expertise — and promotional offers.